Before 1843 a baker and confectioner William Giles was living here. By 1851 Charles Laurence a grocer is living here with his family and a live-in servant. Cheltenham born Joseph Wollen, a sawyer by trade occupies this house in 1871 with his wife Frances. It is unclear exactly when this first became a public house. In 1881 it was listed as the Ten Bells with the landlord being John Hodges. The first landlords of the 20th century were the Carter family. Ernest Henry Carter was originally a fishmonger and may well have continued this trade after he passed the licence to a temporary landlord in 1906. In June 1907, Arthur Osmond Cleeveley and his wife Kate Matilda took over the beerhouse and served for three years until the arrival in 1910 of Mr Ernest Charles Cresswell. The next family to stay any length of time was Mr and Mrs Frank Lawrence who took over the pub in May 1913. Like many young men Frank was to serve in the Great War and left his wife, Elizabeth to manage the house alone. Frank survived the War and returned to the Ten Bells but they gave up the licence in 1922 to a Mr Hopkins. In 1927 the Holland family arrived at the Ten Bells and stayed for the next four decades. Although born in Gloucester in 1868, John Henry Holland lived for most of his life in Cheltenham. In July 1889 he married Cheltenham girl, Agnes Charlotte Price and the couple had three children. The family lived in Naunton Crescent and John (known to all as Harry) started his working life in the building trade, specialising in plumbing and decorating. He retired from the building trade in 1926 at the age of 57 and took over the Ten Bells where he stayed for the next quarter of a century helped by his wife and their daughter, Daisy. 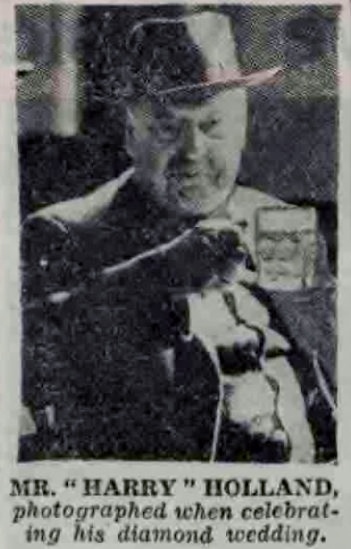 In 1948 Mr Holland was said to be the town's oldest working licensee and the following year, on the occasion of their Diamond Wedding Anniversary, 81 year old Mr Holland gave his recipe for enjoyable old age – six pints a day! Sadly he didn’t live to see his 61st Anniversary as he died in March the next year. His son Jim, who had been a guard on the railways, then took over the licence and it stayed in the Holland family until the Ten Bells served its last customer on April 18th 1964. After the closure of the pub the building remained in the business of selling alcohol. Arnold Perrett and Co Ltd, wine and spirit merchants opened a branch here in 1968 and were followed in 1975 by Thresher and Co Ltd. It was converted to the name of Wine Rack (part of the Thresher group) in the early 1990s. In late 2009 the Thresher Group closed many of their off licenses, including this one, thereby ending about 130 years of alcohol sales in this location. 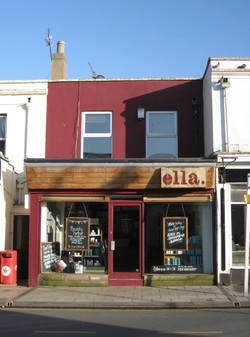 The shop then briefly became Bath Road Shoes but is now Ella Hairdressing Salon.